Cheques must be postmarked or received by the cut-off date to receive discounted price. Morning and evening worship services are public events and there will be no charge. A free-will offering will be taken Sunday and Monday. All other events will be open to those who register (lay, clergy and students). We have made arrangements for a preferred rate for a limited number of rooms at The Courtyard by Marriott Downtown Toronto, for $$209 per night (for two nights- Nov. 11 & 12) plus taxes. For the preferred rate please mention Lester Randall Preaching Fellowship when booking your room. 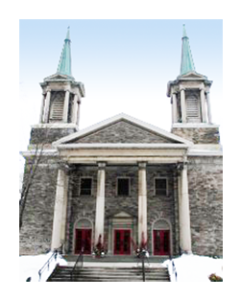 The 2018 Lester Randall Preaching Fellowship will be held at two churches both located in the mid-town Toronto. The main venue will be Yorkminster Park Baptist Church. This is where registration check-in will take place as well as most workshops, meals and evening activities. A number of events will also take place at Calvin Presbyterian Church located a short walking distance from Yorkminster Park. Sunday morning services will be held at each of the participating churches. 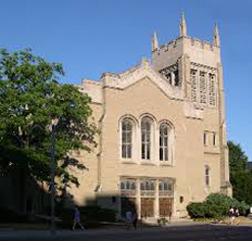 Public parking is available at two ‘Green P’ parking lots on either side of Yonge Street, south of the church. 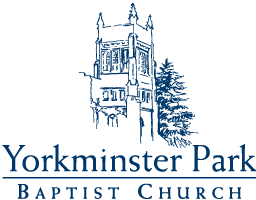 From most parts of the city, the most efficient means of getting to Yorkminster Park Baptist Church and Calvin Presbyterian Church is by subway. The nearest subway stop is St. Clair station. Access is also provided via the 512 (Keele – St. Clair Station) streetcar line. Videos of selected sessions and keynotes will be available on the LRPF media page and YouTube Channel after the conference.